Works on both Windows PC and Server operating systems. Single License can be used on only 1 computer. Family License can be used on up to 4 computers in the same household. One copy of the installation package can be used on unlimited computers within your company, and also can be used by a single technician to provide charged technical services to other companies and individuals. Works on both Windows PC and Windows Server Operating Systems. Built-in UI custom tool to customize UI & Logo and rebrand for OEM install. One copy of the installation package can be used on unlimited computers within your company, and also can be used by a single technician to provide charged technical services to other companies and individuals. 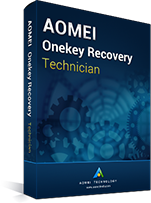 One copy of the installation package of AOMEI OneKey Recovery Technician is for a single technician only. If a company has more than one technician using the program to provide charged technical services to clients, please buy additional copies. Please uninstall AOMEI OneKey Recovery Technician from client's computers after providing technical services. 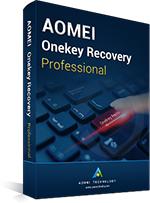 You can integrate and preinstall AOMEI OneKey Recovery with your own products and distribute to your clients, please contact us to obtain certification of authorization and Pre-installation Edition of OneKey Recovery. 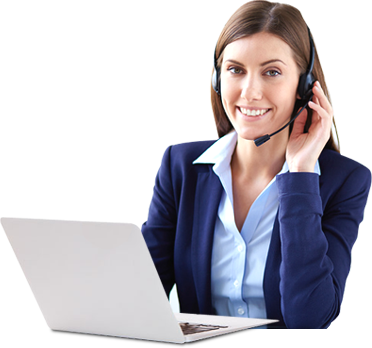 Free lifetime technical support via e-mail. Transactions are secured by 256-bit SSL and 100% safe. Installation package will be immediately delivered to your email after purchase. Why the price on the order page is higher than that of your store? Real-time delivery. Usually, once your order is processed successfully, the installation package as well as an electronic invoice of the software will be immediately sent to your email. For the customers who have purchased "Lifetime Upgrades", once a new version is released, you can get it for free. For the customers who only purchased "Current Version", minor updates (e.g. 1.6.2 -> 1.6.3) are free. For the major upgrades (e.g. 1.6 -> 1.7), you need to pay additional charge to upgrade the current version to each new version. My computer were restored successfully, I didn’t know when I backed up system with AOMEI OneKey Recovery, but it saved my system at vital moment. 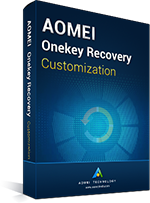 After installing every kind of design software, I choose use AOMEI OneKey Recovery to backup my system. Once it crashes, I can use it to restore. I can press F11 to enter onekey recovery environment, and I don’t need to make a bootable media. It is said that backup image can be stored by AOMEI Backupper.